Kendrick Lamar caused a frenzy during his gig at the iTunes Festival last night (19.09.13). The 'Swimming Pools' rapper delivered a stellar show in London but female fans were left scrambling for safety, after a mosh pit erupted with people shoving each other aggressively to the Compton rapper's hard-hitting hip hop tracks. The 26-year-old told the crowd: "Everyone here knows I couldn't do this without my day one fans. Some of my most dedicated fans right here, am I right?" After performing hits such as 'B***h Don't Kill My Vibe' and 'Poetic Justice', Kendrick - who will on Kanye West's 'Yeezus' tour in October - declared his love for London as he left the stage. He said: "No matter how big I get, no matter how small I get, I'll always come back to you." 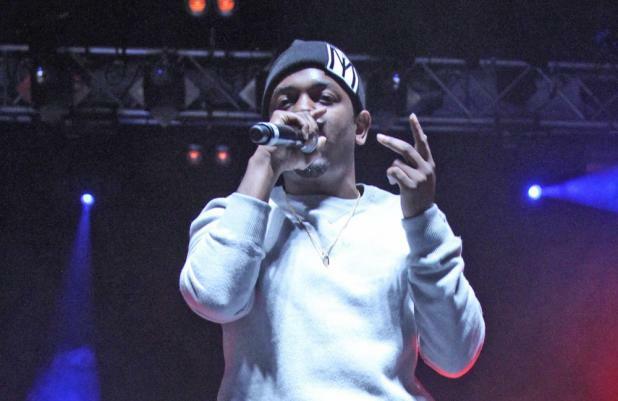 Kendrick is the latest act to take to the stage for the month-long festival which has also seen shows by Lady Gaga, Elton John and Kings of Leon. LA rapper, writer and producer who recently won the Pulitzer Price for music and who has worked with the likes of Dr Dre, Drake and Pharrell Williams. He tours his fourth album DAMN.